Dear readers, if you follow me on other social media you will know I am panicing right now. Not just the heights thing, but because of fundraising targets. You see I need to have over £400 in sponsorship (donations) by the 18th July. Yes, a few days time! Right now I am only half way. I don’t have a big family, but as a blogger I have friends, wonderful friends. 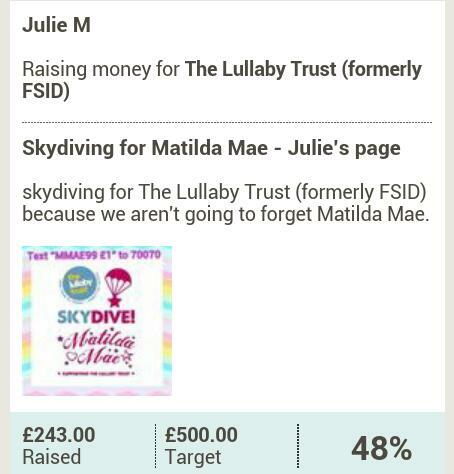 Over the last week they have been mentioning my campaign to raise money for Matilda Mae and the Lullaby trust on social media and their blogs. Claire shared something I wrote. 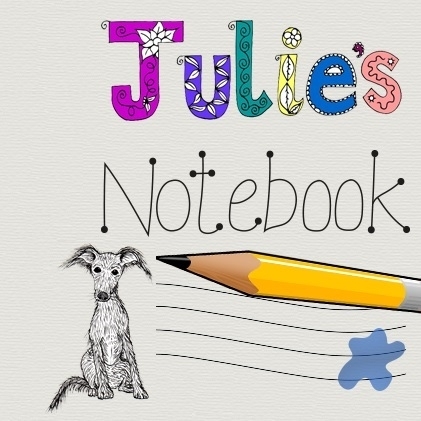 Lucy wrote about Team Matilda Mae 2014 here. Jo is just being awesome. Clare shared about the fundraising raffle too. These posts have made a difference, but I’ll take all the help I can get right now! If you are a fellow blogger reading this, would you like a sidebar advert in return for a donation? Small businesses I can write about you for a 2 figure donation. I don’t want to set a price, what do you think an advert here for charity is worth? Feel free to use this image. Thank you. Sorry for begging for help. #MMskydive. 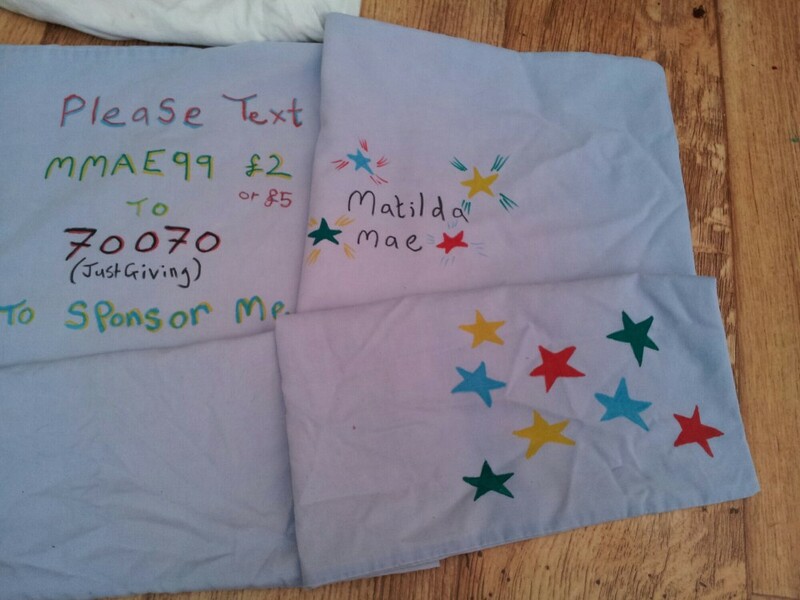 Please see how the rest of team Matilda Mae are doing on Just Giving, and give them some love too? Later today I’ll be sewing these patches I coloured with Dylon pens to a tshirt – think shabby chic. I am trying so hard for you Matilda. I don’t feel brave, am scarred here. But I have to do this, I want to help people. You are doing amazingly well! Sorry I haven’t been able to push (no internet!) I am sending positive vibes though! !